In early October, the Hubble space telescope lost one of its gyroscopes. It needs three gyroscopes to work at full capacity, and it now has only three left. The calibration of the backup gyroscope has been more complicated than expected, but the Hubble space telescope is once again fully operational. Hubble is already back to work. A few days after its return, it has already observed a collision of galaxies and studied in detail the eruptions of distant red dwarfs. 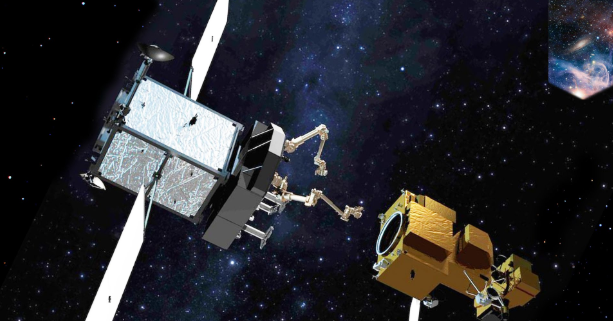 The next gyroscope failure will however be more annoying because the space observatory will be forced to degrade its capabilities by using only one gyroscope at a time, to point in the right direction and keep another in reserve. 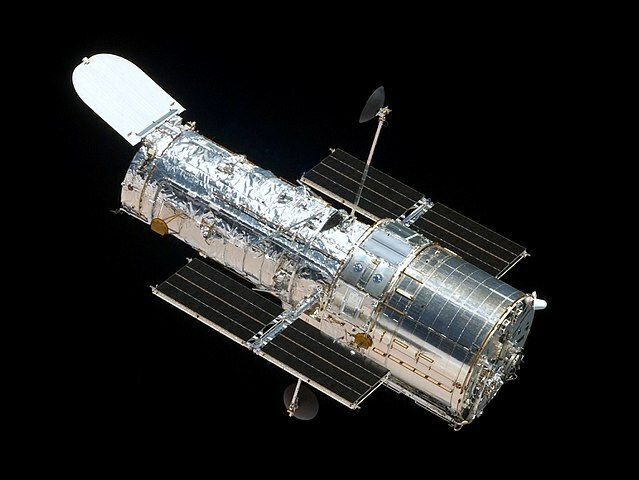 Like the International Space Station (ISS), the Hubble space telescope is in low orbit. It therefore has the same problems related to the residual friction of the atmosphere which gradually degrades its orbit. 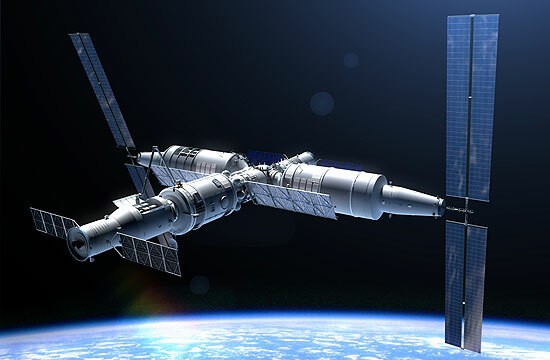 The situation of the space telescope is however a little more stable than the space station. Hubble is significantly farther from Earth than the ISS. It therefore undergoes less friction. It is also much smaller than the ISS, which greatly reduces its atmospheric drag. The various maintenance missions of Hubble which were organized by NASA thanks to the space shuttles have enabled the space telescope’s orbit to be regularly raised. But the last of these missions took place in 2009, and the space shuttle does not fly anymore. In the long term, Hubble will enter the atmosphere and be pulverized. But we do not know when. Many parameters have to be taken into account, especially the activity of the sun over the next few years. The estimates vary between 2028 and 2040. It remains ten to twenty years to the space telescope before saying goodbye. Hopefully a Dream Chaser or a BFR could help Hubble, because if the James Webb space telescope does not give full satisfaction or fails to survive for more than a few years, it could be interesting to extend the life of Hubble. The atmospheric reentry of Hubble will be impressive. 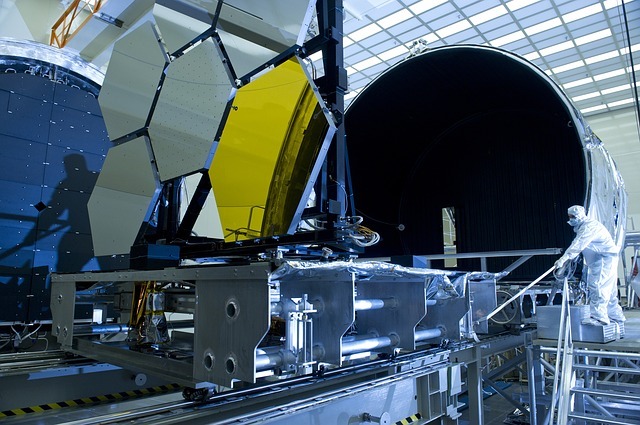 The space telescope is far too massive to disintegrate completely into the atmosphere. Parts of its mirror should thus reach the ground. It is for this reason that NASA had a docking system installed on the space telescope during the last maintenance mission. A propulsion system could be set to control the atmospheric reentry of Hubble and avoid any risk.